Who doesn’t feel a heat wave when they’re enjoying tropical fruit! 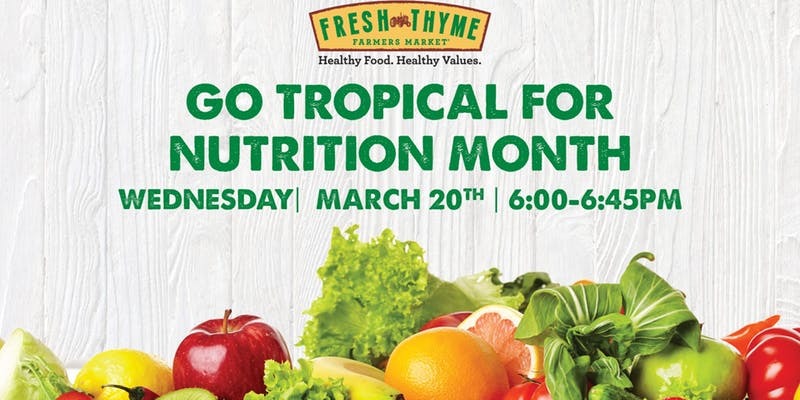 Join Fresh Thyme Farmers Market and Registered Dietitian Heidi Foster, RDN, LD, CLT for an educational event in honor of National Nutrition Month! Learn how to pick, prepare and pair tropical fruit! All participants will receive samples and a goodie bag to take home.